It is a proven fact that jewelry never goes out of fashion. Whether it is gold, diamond or platinum, the appeal of jewelry sets is undying and can be passed down for generations and outlive all of us. There are just so many options at the time of purchasing ornaments, so many materials, metals, styles and gems to choose from. We have offered a jewelry buying guideline of gold, diamond, and silver. Ornaments made with gold never goes out of fashion because it is not only beautiful but also highly comfortable to wear. This precious metal is long-lasting and retains its value over time, so buying gold jewelry is often considered an investment. Solid gold jewelry is a purchase that you will be able to enjoy for life, even generations, so before you make a purchase it is wise to educate yourself on the different standards of gold available. Fine gold ornaments come in 9, 14, 18 or 24 Karat gold. 24K gold is pure gold. 18K gold contains 18 parts gold and 6 parts of one or more additional metals, making it 75% gold. 14K gold contains 14 parts gold and 10 parts of one or more additional metals, making it 58.3% gold. 12K gold contains 12 parts gold and 12 parts of one or more additional metals, making it 50% gold. When you buy gold jewelry you should always check for its purity. Diamond jewelry is among the most popular forms of jewelry. Commonly associated with romance, ornaments featuring diamonds is appreciated for its brilliance, style, and meaning. For most, buying a diamond is a significant investment. 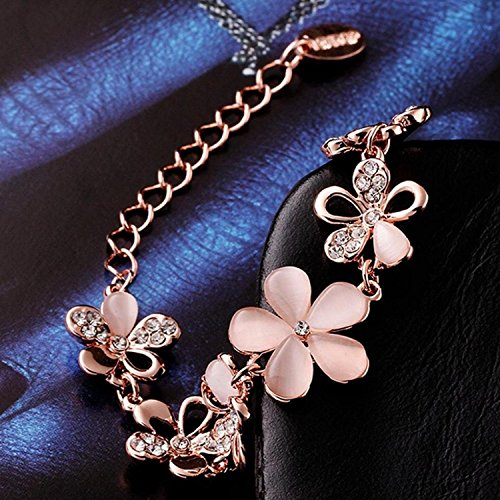 The comfort comes in with the online jewelry shopping, people can buy high-end jewelry with just a tap on their smartphone or click of a mouse. Often the occasion involves not only a financial commitment but an emotional one as well. Despite diamond jewelry’s popularity and constant presence in our society, picking the right piece is not as simple as what many might assume. A diamond’s value is based on four criteria – Color, Cut, Clarity, and Karat. Cut- It refers not to a diamond’s shape (e.g. round, oval, pear, etc.) but to the proportions, symmetry, and polish of a diamond. The most important is Cut because it has the greatest influence on a diamond’s sparkle. Karat- Karat is probably the next most important factor as it’s a measure of its weight, and therefore, it is the most direct determinant of its value. Color- The ideal diamond is completely colorless and they are the most expensive types. Though most diamonds appear colorless, they actually have slight tones of yellow or brown. Gorgeous diamonds can also come in blue, purple, violet, red, green, yellow, gray, white and black color. Clarity- The clarity of a diamond is gauged using the differentiators below. With clarity, the types of diamonds are gauged depending on the quantity and visibility of flaws. Silver jewelry is very popular due to its affordability, variety of designs, and durability. If you’re in the market for quality silver jewelry, there are a few basics you should know that will guide you into buying a simply perfect and enduring item. Sterling silver is the standard for beautiful high-quality silver ornaments. It is 92.5% silver, 7.5% other metal alloys (usually copper). Sterling Silver, the mark is the proof that the silver ornament you are buying is 92.5% pure, rather than containing a lower percentage of silver. When it comes to buying beautiful ornaments, it can be hard to know where to start. Knowing how to buy gold jewelry like an industry professional will help you make the most of your purchase.